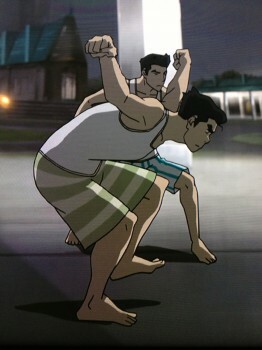 Book 3 picture(Mako and Bolin). I think they are in there underwear o___O xD!. Wallpaper and background images in the アバター ：コラの伝説 club tagged: photo. I think they are in there underwear o___O xD! This アバター ：コラの伝説 photo might contain 看板, ポスター, テキスト, 黒板, and サイン.